Nuvola Player is a free and open source media player integrated with Linux Desktop environments, a run-time for web-based music streaming services. It officially supports and provides packages for Ubuntu, Fedora and Debian. The functionalities of Nuvola Player project has been testified and verified on the virtual instances of the mentioned Linux distributions and we can get a reasonable support in case of any problems. The player should also work on other famous Linux distributions but the developers have not tested it there so the support of any problems is not assured. It is currently in development but the beta release package is available and can be downloaded to test. We will be going to do it in our article here. Nuvola Player 3.0 has been developed from scratch and it is now having a tremendous range of improvements over the previous 2.0 version. 1. It can be launched with Unity and Gnome Desktop environments; the launcher is created in the background. 2. We will now be getting all streaming services supported on one place. 3. The player allows us to add our own Keyboard shortcuts, another awesome feature is the ability to handle multi-media keys. 5. It is integrated with Unity Sound indicator on Unity and has GNOME Shell extension integrated with Media Player indicator. 1. 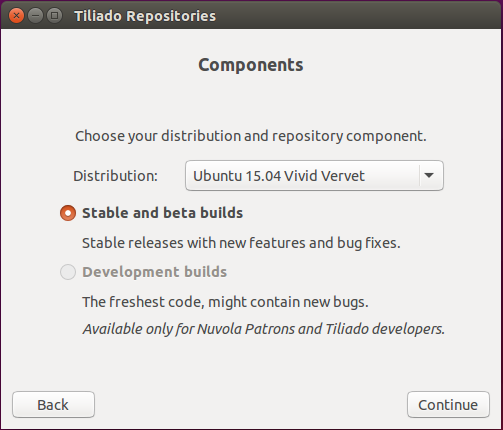 First of all, download the Tiliado Repository package available for Vivid Ubuntu 15.04. 3. Click on Install on the right and the installation will begin. 4. Please authenticate yourself and give the password here. 5. The repo installation is complete. 6. 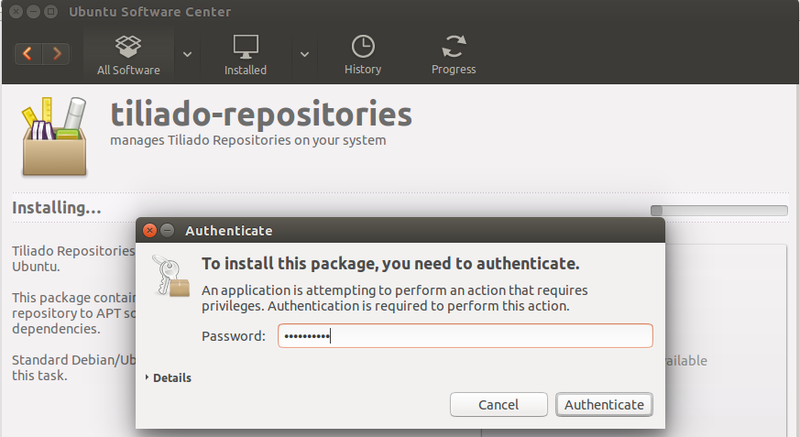 Once the installation is complete, search tiliado in the Ubuntu search bar. 7. 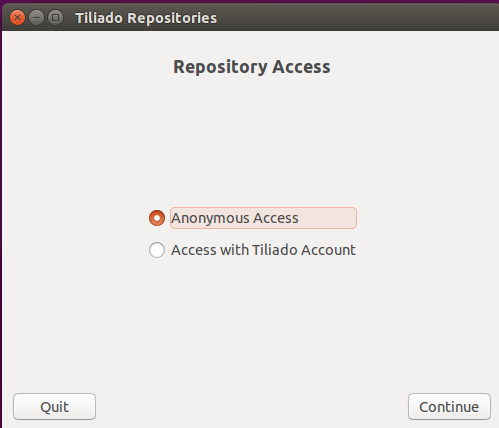 Click on the Tiliado Repositories icon to access the repos, anonymous access is selected by default, so just continue to proceed. 8. Click on Nuvola player and continue. 9. Choose the Linux distribution and repo content. 10. Yep, we are near to have player installed. 11. Click Install to install the player. 12. Give the password again here. 13. 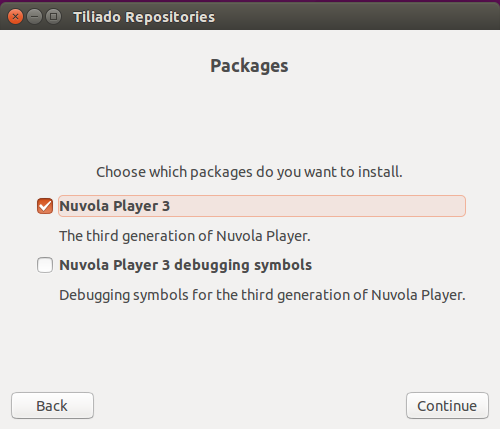 The Nuvola Player should be installed, in case of any errors or missing dependencies, please install them separately. Search Nuvola and open it, click the red encircled Test icon to test the features of the great player.